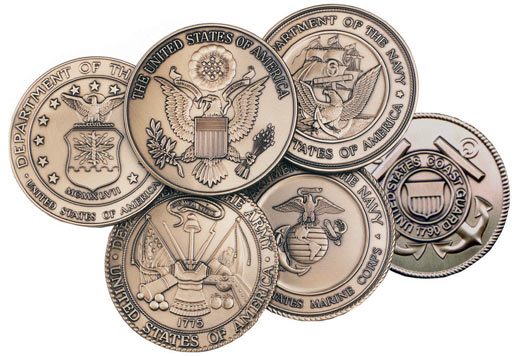 The back panel of your American Flag Display Cases is layered with crushed velvet, making this the preeminent flag display case available anywhere today. 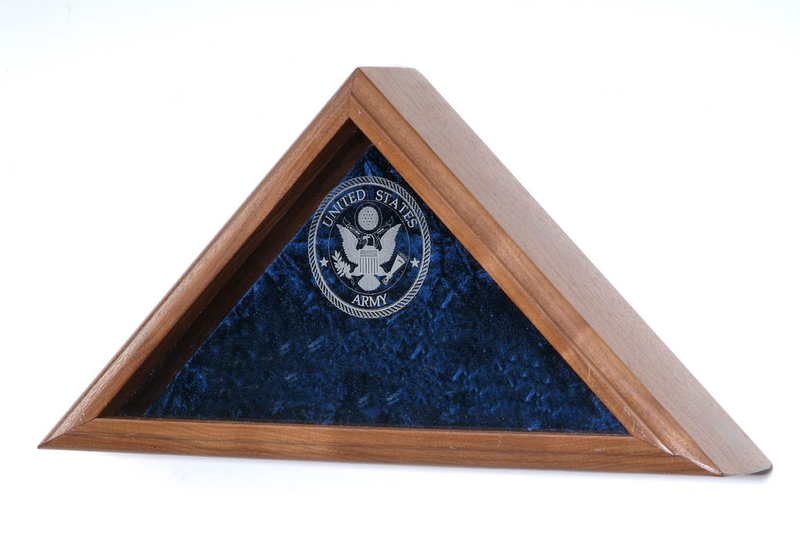 The American Flag Display Cases can be zised up for the 3x5 flag as well. Accepts folded flags up to the 3ft x 5ft coffin/burial flag. Accepts folded flags up to the 5ft x 9.5ft coffin/burial flag. 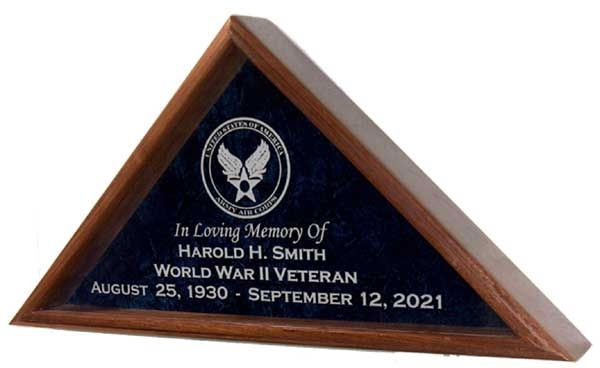 Orders for the American Flag Display Cases are usually shipped out within one business day to places within the USA and Canada. Your American Flag Display Cases represented our family well. I had no hassle in making the order and I received a very prompt delivery, well before my friend’s scheduled memorial service. Thanks for a beautiful box. 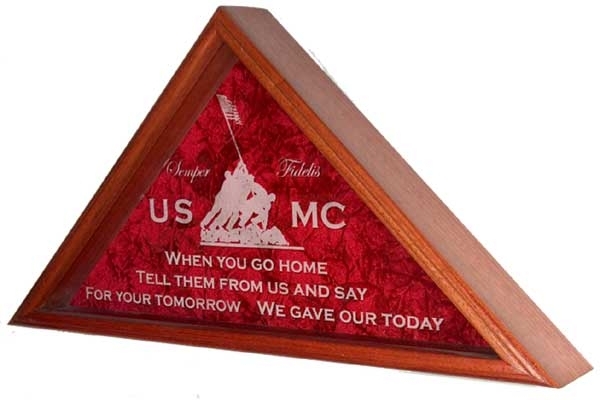 This American Flag Display Cases is just the thing I was looking for to honor my late father. I had a classic cremation urn before, but felt that this solid wooden case was a bit more suitable with its flag overlay. He served for 20 years in the force and this was very appropriate. I wish I knew about these before. Nothing but the best for Dad.